“Ellie and her friends leave home one quiet morning, wave goodbye to their parents, and head up into the hills to camp out for a while; seven teenagers filling in time during school holidays. The world is about the change forever. A lot of Australians I know say that this is the first book they ever read and enjoyed, or that this series is what got them onto reading, or that to this day this series marks the only books they’ve ever read all the way through! I think that says a lot. 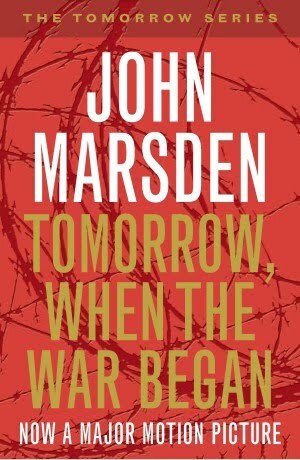 When Marsden wrote these books, he also began to create a heritage of great Australian teen fiction. The setting and characters are so relatable and true to Aussie form, not only that but the questions and issues that he confronts head on were and are real questions and issues for real Australians now. It’s got action, suspense and of course a bit of romance, as the reality of teenage life cannot be extinguished, not even by a war. An exceptional story about courage, loyalty, heroism, friendship, love, war and all that makes us human. Any high school reader. 4 stars.